Back in May, we mapped out an epic 11-stop "Boston on the Big Screen" pub crawl of bars that've starred in popular Hub movies. This round, we're eschewing the silver screen for classic crustaceans. 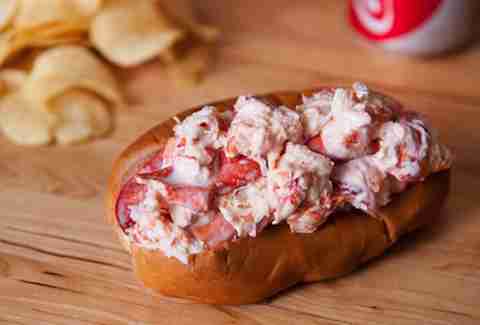 One afternoon, seven of the city's best lobster rolls. It's something you'll tell your grandkids about, as they play video games hidden in their sunglasses. After hopping the Red Line to Central Square and meandering down River St, you'll kick things off in Cambridgeport, where -- after noting how you just don't hit Coast Cafe nearly enough -- you'll happen across another obscure culinary hole-in-the-wall on Putnam Ave: Alive & Kicking Lobsters. 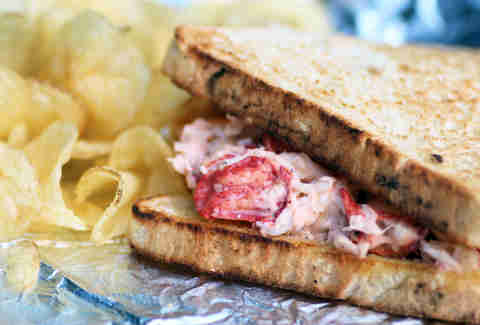 Grab a picnic table and a bottle of their signature raspberry lime soda before settling in to enjoy this light-on-the-mayo lobster "sandwich" on buttered scally bread that's been toasted in a convection oven. 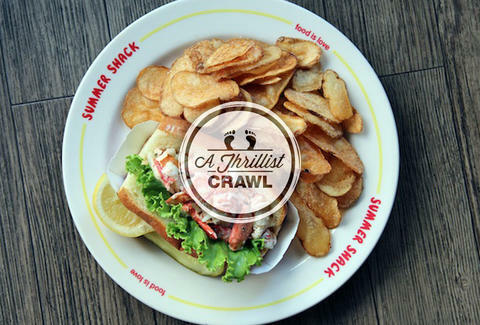 Head over the BU bridge and down Comm Ave to Kenmore Square, where you'll be rewarded with the gourmet stylings of Ethel's Lobster Roll, which's mixed with creme fraiche and dill pickles and served on a rosemary roll alongside kettle chips and cole slaw. From here it's only a quick jaunt over to Dalton St, where you can bowl a few games at Kings before getting back to the task at hand: taking down Jasper's chopped cucumber-laced crustacean classic. 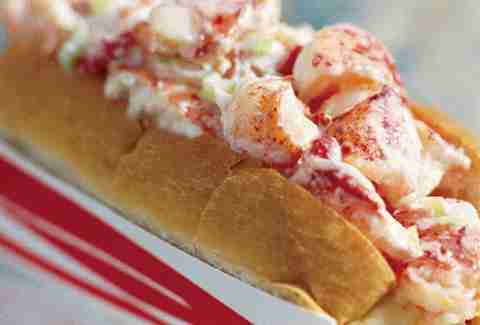 Hop the Green Line to Haymarket (or do yourself a favor and walk off those first three rolls) and hit the North End, where Pauli's peddles New England's largest (and priciest) lobster roll: a 24in, 1.5lb battleship of a sandwich dubbed the U.S.S Lobstitution. Although, assuming you'd like to continue this crawl, perhaps you should opt for their traditional roll in a hot dog bug instead? Just a thought. While you're in the 'hood, pop around the corner and enjoy quite possibly the Hub's most renowned lobster roll, which's served on a toasted brioche one of two ways: cold with mayo or hot with butter. Stop #6: James Hook & Co.
Meander along the waterfront until you run into this family-run-since-1925-just-don't-ask-about-the-sketchy-fire-a-few-years-back seafood stand on the Ft. Point Channel, where, despite the fact that they're shipping over 50,000lbs of lobster daily, they still have the time to whip up their simply dressed (a little mayo, a little celery) but nonetheless award-winning rolls. 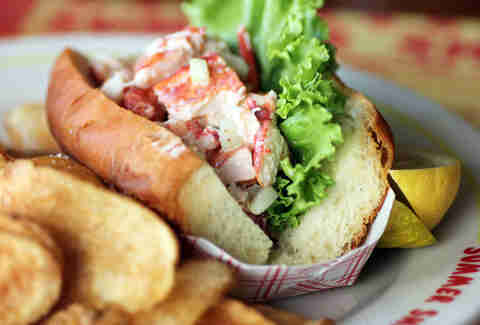 If somehow you're not currently throwing up into the Channel, roll down Northern Ave into the Seaport to your final stop, another long-standing, family-run landmark where you can enjoy a classic split-top lobster roll with fries and slaw -- or maybe mix it up with a lobster club sammie -- while soaking up some sun on their patio. And now that you've had seven lobster rolls, perhaps you should go home. Immediately. You've had quite the day.